The Penguin ornament was designed in 1954 by Hans Bunde. Thanks to ArchitectMade, the elegant birds are now available for your home where they will attract everyone's attention with their shapely silhouette. The penguins are made from beech wood. While the dense plumage of the animals is represented by a black painted back, the light breast shows off the natural grain of the wood. Available in multiple varieties, every model can be combined wonderfully together. 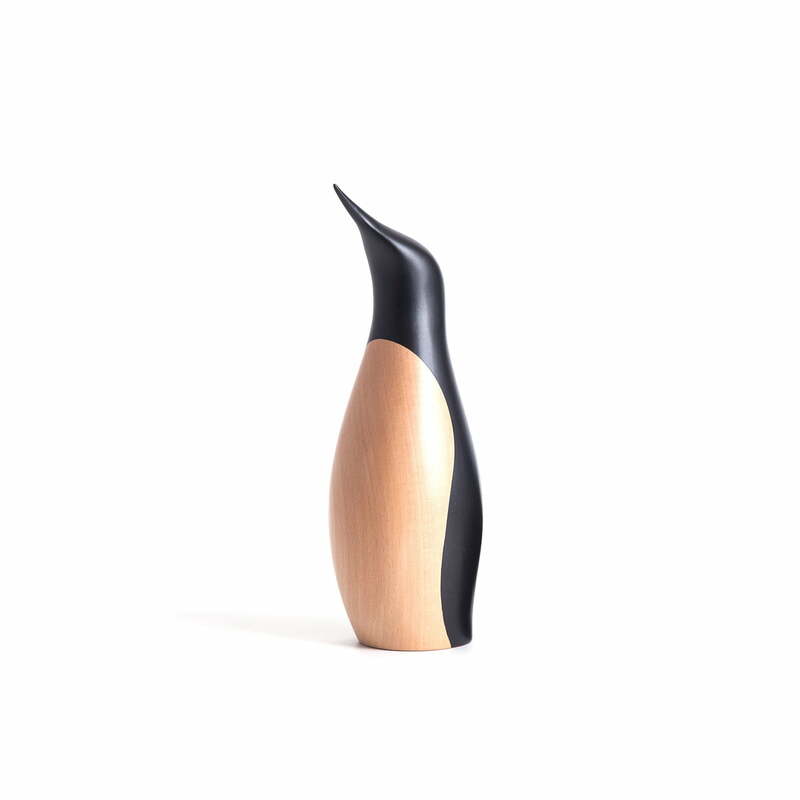 Isolated product image of the ArchitectMade - Small Penguin, beech / black. 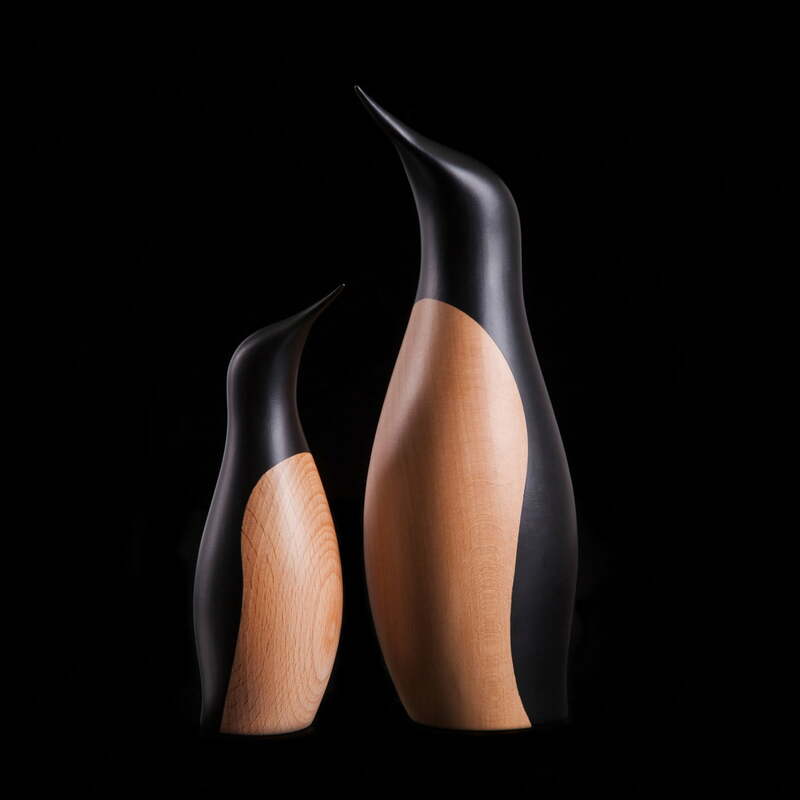 The penguins are made from beech wood. While the dense plumage of the animals is represented by black painted back, the light breast shows the natural grain of the wood. Lifestyle product image of the ArchitectMade - Penguin ornaments. Available in multiple varieties, every model can be combined wonderfully with one another. 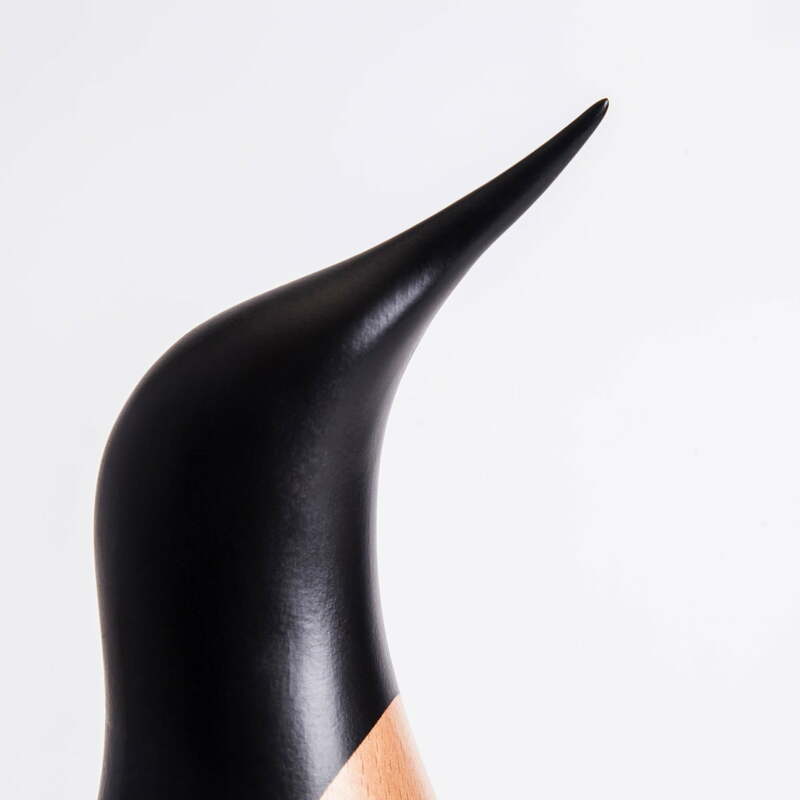 Detail product image of the Penguin by ArchitectMade The elegant silhouette of the wooden birds attracts everyone's attention with its soft, careful finish.